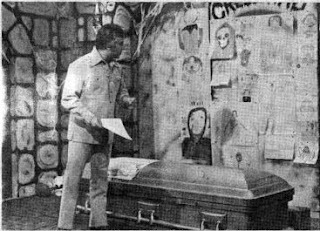 I return to this lost journal to mark the passing of Chuck Acri, host of The Acri Creature Feature. Chuck passed away June 9th, 2018, after a brief stay in hospice. Moline's WQAD reports the details here. 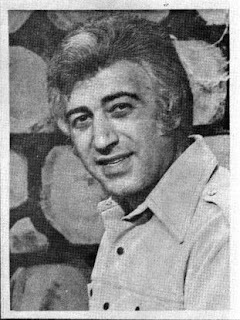 I watched Peoria’s WEEK-TV signal of the show in the small town of La Rose, Illinois; population at that time was 200. Life was sweet living there as a kid still in my single digits. One of my favorite memories from that time was anxiously waiting for the next Creature Feature on Friday nights and the gathering of my dad and me to watch the scary movies and the fun characters that introduced them. Chuck Acri had a warm, homey manner in his welcoming greeting and introduction to the night’s entertainment. Casual and relaxed, and only occasionally awkward, Chuck would plow right into a segue about how your windows could be weatherized or your energy bill reduced if you bought one of the Acri Company’s storm doors. Not so scary! Filmed segments ran with Chuck interacting with Ken Gibson’s “Vincent Hedges” vampire character and others in bits shot around the area. 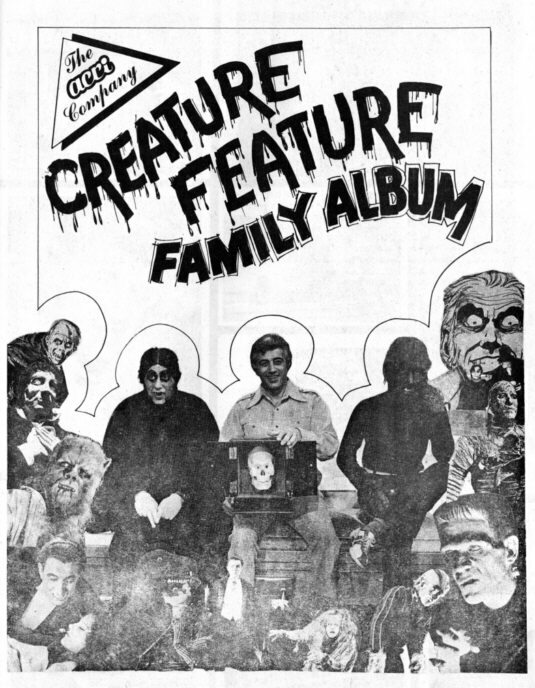 Acri’s Creature Feature was broadcast throughout the Peoria area, Moline, and Davenport, Iowa and as far south as Springfield, Illinois for a short period of time. 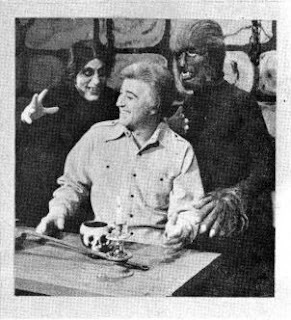 I wonder why he and Creature Feature mean so much to me – his amusement about it all, the films, the spooky fun – and I think it’s the shared experience with the local television community, and with my dear dad, that makes it special to this day. 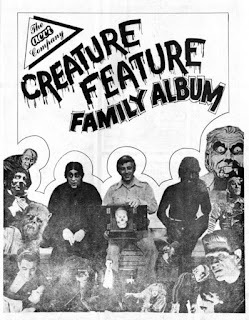 Many other kids now well into their 50s and 60s will fondly remember Chuck Acri, and his game sponsorship of our local Creature Feature, for a long time to come.